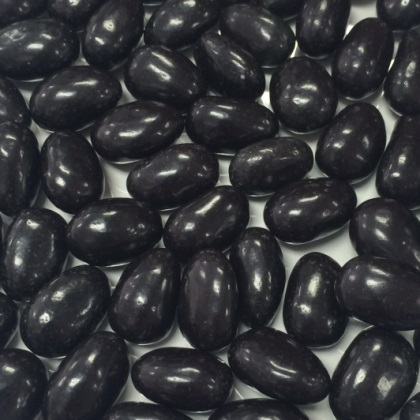 Jelly beans packed with the full bodied flavor of black licorice and black in color. Gluten-free. 14 ounces. Approx. 15 pcs per oz.